Heat oven to 350°F. Unroll dough on work surface. Press into 13x8-inch rectangle. 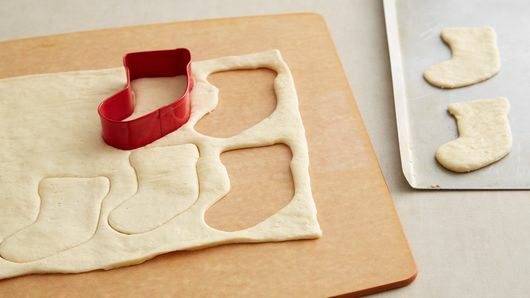 Using 2 1/2- to 3-inch stocking-shaped cookie cutter, cut 12 stockings from dough. Transfer to ungreased cookie sheet. Bake 8 minutes. Top with sauce, leaving 1/4-inch border. 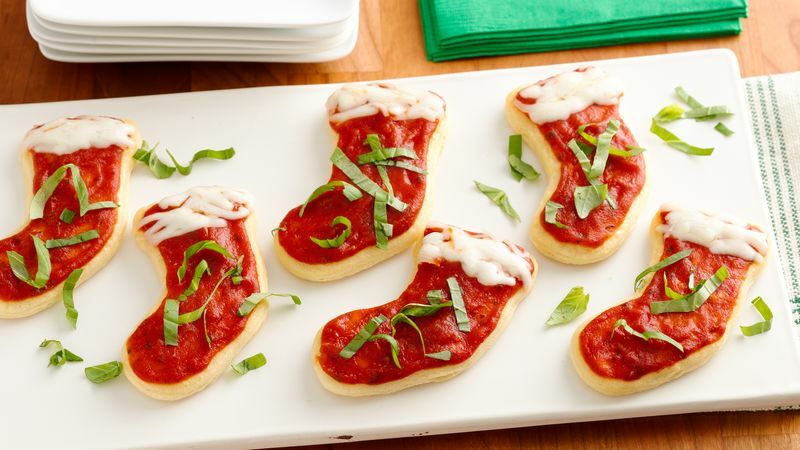 Sprinkle mozzarella at top of each stocking. Bake 4 to 6 minutes longer or until cheese melts. Transfer stockings to serving tray. Sprinkle with basil leaves. 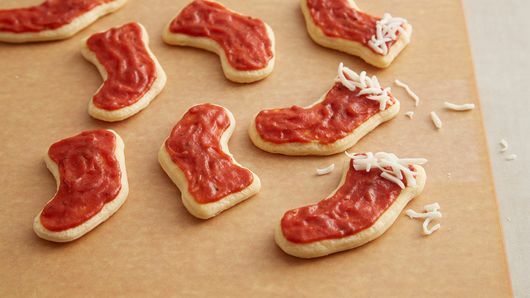 Can't find a stocking cutter? 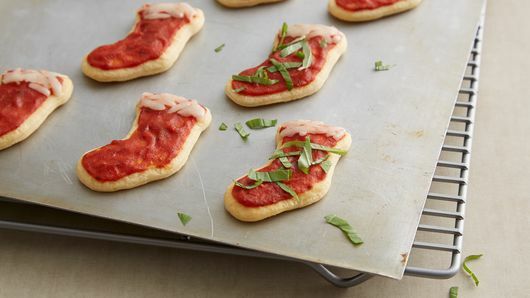 Play around with other Christmas shapes for a fun twist on this simple recipe. If basil isn't popular with your little diners, try topping with mini pepperoni instead.